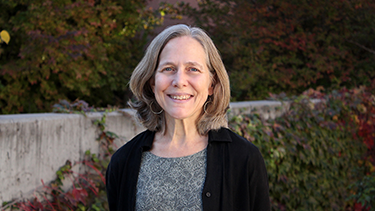 - Professor Jenny Moore is one of the recipients of the 2017 Sarah Belle Brown Community Service Award. An advocate for the rights of refugees, immigrants and UNM students for decades, Professor Jenny Moore is being recognized for her community service and inspirational example of advocacy and social responsiveness. Moore, along with UNM staff member Kim Kloeppel and UNM student Jesse Yelvington, are recipients of the 2017 Sarah Belle Brown Community Service Award. They were chosen through a competitive nomination process facilitated and sponsored by the UNM Office of the President. Many University and professional colleagues have shared their thoughts and appreciation for Moore and her work, sharing sentiments like “Congratulations – you deserve it!” and “Marvelous news!!! I’m so happy for you Jenny!” as well as saying it’s wonderful that Moore is being recognized for her outstanding community service. Professor Jenny Moore is somebody who broadens our concept of ‘community service’ to include the local as well as the global community. She is particularly passionate about helping refugees and immigrants. Prior to joining the UNM law faculty, she spent many years working with refugees in Africa. More recently, she is dedicated to understanding, writing on, and expanding the role of women in the peacebuilding process in societies ravaged by years of violence. This past summer, for example, she interviewed rural Ugandan women peacebuilders in Northern Uganda in connection with her work on her latest book. Apart from her work abroad, Professor Moore advocates for immigrants’ rights in the U.S. She has done this through her work with the Immigration Section of the Association of American Law Schools as well as through teach-ins on President Trump’s travel ban and DACA revocation executive orders. She also actively advocates for ways in which our university can strengthen our services and support for students, specifically including those who are undocumented or otherwise face special vulnerabilities due to their nationality, religion, or other status. In April 2017, she agreed to serve on the Provost's newly constituted DREAMER Task Force, which is a collaborative effort to strengthen resources and support services for undocumented students at UNM.